SQUEE!! I just discovered these at the old Library. I had never looked at them before because I'd never seen MM (and didn't want any spoilers.) I love Percy Topliss! Woaahhhh, what a nice, young and tanned Paul! Thanks Maddy! Haven´t seen them before! Percy Toplis was described as having a "cruel face" but looking like an officer when he smiled. With these caps, I see why! Thanks for re-posting those here, Maddy! This one is definitely overdue for a crystal-clear dvd release. Woaahhhh, what a nice, young and tanned Paul! Very right Akka , double thx Maddy. 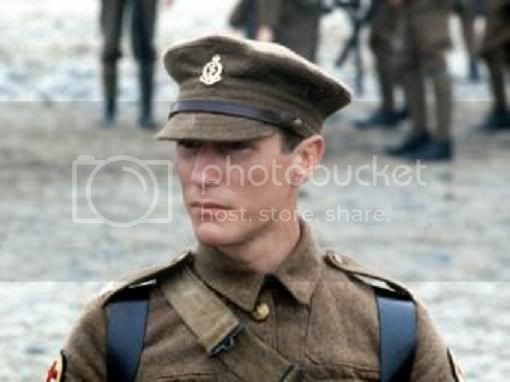 You can see I liked the look of him as an NCO. I didn't cap many of his officer piccies, with monocle. The Radio Times cover was a very good one. Someone must have a nice one of that. 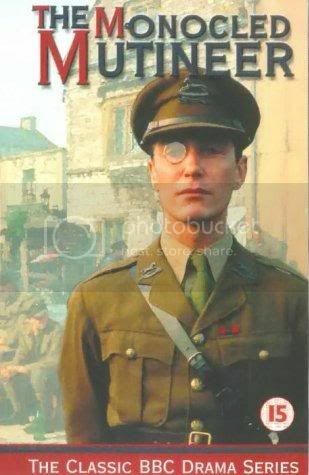 I didn't cap many of his officer piccies, with monocle. Maddy thanks so much for capping and posting these--I was off for a while when you originally did! 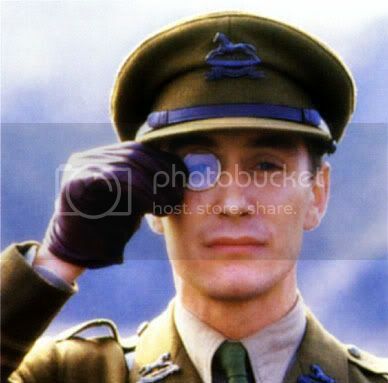 I didn't cap many of his officer piccies, with monocle. The Radio Times cover was a very good one. but I honestly can't remember who I filched it from! No, not bad, but for some reason i keep wanting to say; get that thing away from your face, it's to handsome to hide even half . And the Radio Times, not to be missed... sigh! I guess I did cap a lot of his officer piccies as well, since I have over 200 + caps. Just don't have the space at my photohost for all of them! DE, go ahead and host some at that photobucket account where we have the Sea of Souls caps.